The Transpacific Yacht Race known by many yachters as the Transpac Race, dates all the way back to 1906. The race, for anyone brave enough to attempt it, puts you through a treacherous 2,225 nautical miles. The race historically was supposed to start out of San Francisco in 1906, however that is the same year that a massive earthquake hit San Francisco destroying more than 75% of the city. As a result, the three yachters had to regroup in Los Angeles and start the voyage from there instead. The race was held twice out of San Francisco in 1923 and 1932, and once out of Newport Beach in 1928. This year the Race kicks off in July. The first Transpac start is on July 3rd, the second Transpac start is on July 5th, and the third Transpac is on July 6th. The staggered start to the race only began back in 1993. This year will kick off the 49th time the race will take place. It was made a biennial event in 1939 to alternate with the Bermuda race which also began in 1906. Over the past one 48 races the largest fleet for one race was 80 yachts in 1979 and only 2 yachts embarked on the race in 1932. The Transpacific Race have seen boats of all sizes the largest to complete the trip was the Goodwill in 1953 and was a whopping 161 feet long. The smallest yacht to attempt the race was Vapor in 1959 at only 25 feet. 14 international ports have been represented over the course of the races long life. H.H. Sinclair in his Lurline was the first victor of the Transpacific race with a time of 12 days and 10 hours, a time that would only be beat twice in the next 50 years. The current record holder for shortest time is Neville Crichton in his Alfa Romeo boat with a time of 5 days and 15 hours. There have only been twelve changes to the fastest time over the history of the Transpacific race. The yacht Dorade won the race back in 1936 with the captain James flood. Dorade was then bought in 2010 for nearly one million dollars and was used in the Transpac Race in 2013 by Matt Brooks. Surprisingly the yacht, after 77 years had passed since its first victory, saw the lighthouse before anyone else yet again. The old vessel beat out the new carbon fiber ocean racers to win its division and the race. In recent years there has been an increase in crews for a cause, meaning crews who are specifically selected to carry out a message. In 1997 there was a crew composed entirely of men who were HIV positive or had AIDS. They competed in the race in order to carry a message of hope for those battling the disease that they would find a cure, or raise money in order to help the process. The Transpac Race was also completed by the Challenged America of San Diego in 2003 and 2005 in an effort to raise awareness for the cause. There are five total trophies up for grabs in the Transpac race. The barn door trophy is awarded for the fastest monohull elapsed time in the race, the “First to finish” trophy. In 2009 this trophy was restricted to manual power sailing yachts only. The Merlin Trophy is awarded to the fastest monohull with power assisted sailing. The King Kalakaua trophy is awarded to the first corrected overall yacht in the Honolulu Race. The Rudy Choi Perpetual trophy is awarded for the fastest multihull elapsed time. It was first presented in 1997 To Bruno Peyron in his Explorer. Lastly the Fritz Overton Memorial Trophy is awarded for the first overall corrected time for the Los Angeles – Tahiti Race. If you are like myself and are not quite ready to attempt the 2,225 nautical mile journey but still want to participate in the race don’t you worry. There are still ways to enjoy the Transpacific Yacht Race. Before the race starts on July 3rd there is an Aloha sendoff party on July 1st for the participants of the race. You can also follow the race to Hawaii and meet the yachters once they meet the final leg of the journey. Once all the yachters have reached the final destination there will be a Goslings Party on July 19th, followed by the Waikiki YC Party on July 21st. Finally, the Transpacific Yacht Race is capped off with the Kaneohe YC Party that has yet to be determined, but is the last event on the calendar for the 2017 race. Do not forget the party starts on July 1st, and the race starts on July 3rd, see you in Los Angeles. 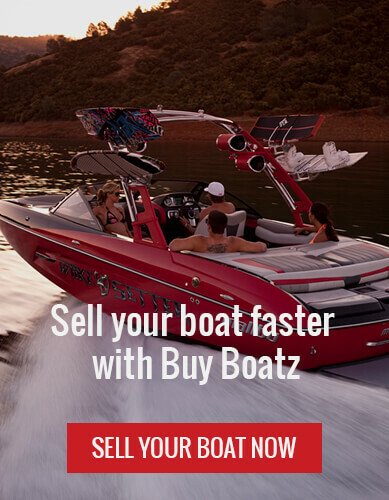 Buyboatz owner and operator has been in the boating industry for 10+ years!